Raymond ("Ray") Illingworth CBE (born 8 June 1932) is a former English cricketer, cricket commentator and cricket administrator. As of 2015, he is one of only nine players to have taken 2,000 wickets and made 20,000 runs in first class cricket. He played for Yorkshire (1951–68 and 1982–83), Leicestershire (1969–78) and England (1958–73) and was a Wisden Cricketer of the Year in 1960. He was born in Pudsey, West Yorkshire. Ray Illingworth's son-in-law Ashley Metcalfe later played cricket for Yorkshire; but Ray is not related to former Worcestershire cricketer, and later umpire, Richard Illingworth. Illingworth made his first-class debut at 19, was capped in 1955 and became a stalwart of the Yorkshire team in the 1960s. He made his Test début for England in 1958 but struggled on his first tour, in the West Indies in 1959–60, taking just five wickets in five Test matches. After failing to make an impact in four Tests against South Africa he found himself struggling for a place. A good series against India in 1967 established him in the team. He joined Leicestershire in 1968 after a contract dispute with Yorkshire. 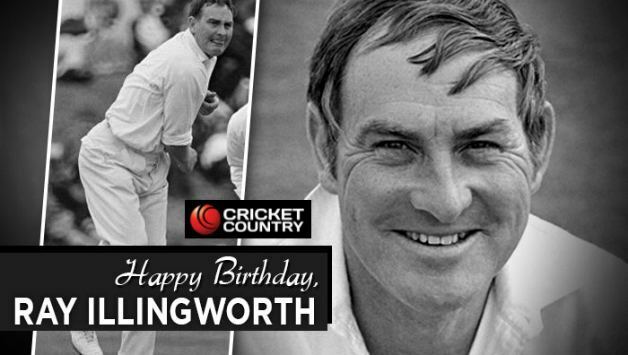 Illingworth played 787 first-class matches over nearly 33 years. As a bowler in county cricket, he took 2072 wickets. He sent down 408 balls without reward in the three Tests against New Zealand in 1973 but conceded only 1.91 runs an over in his Test career. He was not a sharp spinner of the ball, relying on accuracy and subtle variations of flight, but his arm ball was particularly effective with many of his victims being caught at slip, playing for spin that was not there. His middle-order batting was based around stern defence; a fifth of his innings, mostly from number 6 or 7 in the order, finished not out. He scored 24,134 first-class runs in all, with a best of 162, at an average of 28.06. Against the Rest of the World in 1970, Illingworth topped the England averages with 476 runs (52.89) and six half-centuries, a testament to his grit and determination against the best in the world. The Yorkshireman was 'tough, combative, grudging, shrewd, and an instinctive reader of the game', and an experienced, no-nonsense captain who expected his team to play like professionals. David Gower wrote 'no matter how highly Ray might regard you as a player he would not have you in his team, come hell or high water, unless he was utterly convinced that you could do the job he had allocated to you'. He encouraged 'difficult' players like Geoff Boycott and John Snow who responded with their best Test form. 'Most of all, because he insisted on his "own side", he was able to get the best out of his players, both mentally and physically. He built up a tremendous team spirit which stood us in good stead on numerous occasions', and they tended to close ranks and treat the opposition, umpires, press and public as the enemy, an attitude that became prevalent amongst Test teams in the 1970s. In all he captained England in 31 Test matches, winning 12, losing 5 and drawing 14. Illingworth only captained England for five seasons (1969–1973) but this was a successful period in English Cricket. Under Illingworth, England beat the West Indies 2–0 in 1969, held a powerful Rest of the World side to 3–1 in 1970, won the Ashes in Australia in 1970–71, beat Pakistan in 1971, somewhat surprisingly lost to India in 1971 but then regrouped and held on to the Ashes in a tight series in 1972 before eventually losing to a strong West Indies team in 1973. Illingworth can perhaps be considered responsible for the victories in several of those tighter contests. For example at Headingley in 1969 the West Indies were 219 – 3 chasing 280 when Illingworth's inspired bowling change had Basil Butcher caught behind and wickets fell with just about every bowling change he made that afternoon. Similarly at Sydney in the 7th Test of the 1970–71 series it was Illingworth, deprived of his star batsman Geoff Boycott and his star bowler John Snow, who somehow pressurised the Australian batsmen into capitulation. Those two matches will probably be remembered as Illingworth's finest moments as captain because they were the most famous. However it was for his brilliant tactics at Headingley in 1971 that he should receive most plaudits. With Pakistan needing only 231 to win – they were sailing toward victory with Sadiq Mohammad and Asif Iqbal in full command at 160–4. 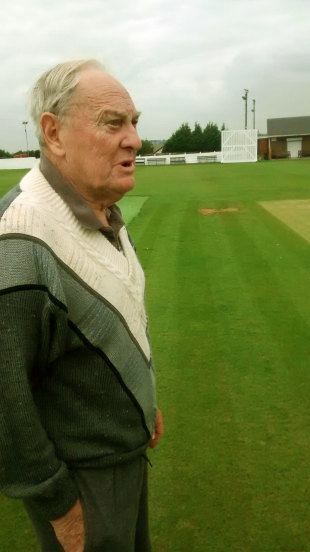 Alan Knott pulled off a miraculous stumping off Norman Gifford (Asif the batsman) and again Illingworth's bowling changes just as they had two years earlier resulted in wickets – including the key wicket of Sadiq – c&b by Basil D'Oliveira. The 1972 series was as good and tough an Ashes series as there has been (with the possible exception of 2005). The seasoned pros of England in Boycott, Edrich, D'Oliveira, Illingworth himself, Underwood and Snow faced the upcoming young Australians (Ian and Greg Chappell, Dennis Lillee, Rod Marsh, Doug Walters) who would dominate for the middle part of the decade. The series was drawn 2–2 but included tight games at Headingley and particularly the Oval, where the match lasted almost six days with Australia chasing 242 with only 4 wickets in hand. 1973 was the end for Illingworth as captain of England and it was rather a sad one in that an easy victory over a budding New Zealand team was followed by a heavy defeat by a West Indies side just beginning to peak. England needed to win at Lord's to level the three-Test series. West Indies had first use of a quick but perfectly even batting wicket and made 650 at a rapid scoring rate as England's bowling attack of Willis, Arnold, Greig, Underwood and Illingworth were humiliated by Kanhai, Sobers and Bernard Julien. When England batted they had no answer to Lance Gibbs and lost by an innings. Wisden fairly described it as "a sad end to the Illingworth era". When Ray Illingworth left Yorkshire in 1968 it appeared that the Test career of the 36-year-old off-spinner was over, but he transferred to Leicestershire and was made captain. Although he had never been captain before his experience and knowledge of the game were widely believed to have helped Yorkshire to their County Championship victories in 1966, 1967 and 1968. 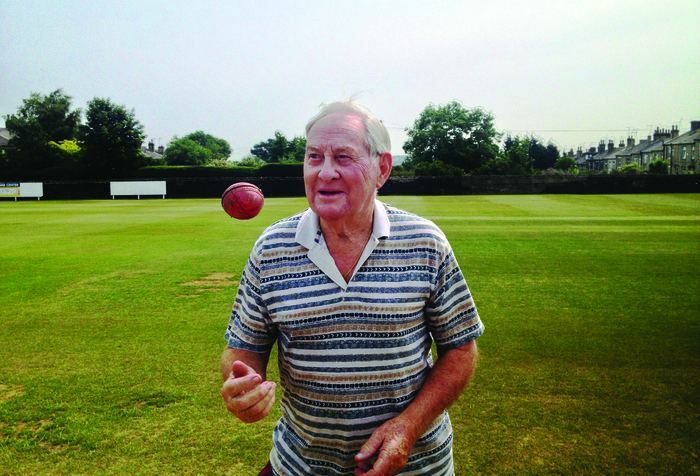 The selectors had long regarded Colin Cowdrey as England's natural cricket captain, but he broke an Achilles tendon early in the season and Illingworth was his surprise replacement after only a month as county captain. Illingworth had been in and out of the national side for years, but had taken 20 wickets (13.30) against India in 1967 and 13 more (22.39) against Australia in 1968. He was originally chosen over his rivals like Brian Close as he was not a threat to Cowdrey's long-term captaincy due to his age and inability to establish a regular spot in the Test team. In the Second Test against the West Indies at Lord's in 1969, England collapsed to 61–5, but the new skipper made a forceful 113 out of the last 155 runs and became a hero. He beat both the West Indies and New Zealand 2–0 and was confirmed as captain even when Cowdrey recovered. When Illingworth became captain England had lost only one of their previous 14 Test matches, and none of their last 7. He continued this run to a record breaking 27 Test Matches without defeat in 1968–71, or one defeat in 40 Tests in 1966–71. This record was not recognised at the time as the games against the Rest of the World XI were counted as Test matches and was subsequently equalled by Clive Lloyd's West Indies in 1981–84. 1–1 (5 Tests) vs Australia in 1968, Australia winning the First Test at Old Trafford by 159 runs. 0–0 (3 Tests) in Pakistan 1968–69. 2–0 (3 Tests) vs the West Indies 1969. 2–0 (3 Tests) vs New Zealand 1969. 2–0 (7 Tests) in Australia 1970–71. 1–0 (2 Tests) in New Zealand 1970–71. 1–0 (3 Tests) vs Pakistan 1971. 0–1 (3 Tests) vs India 1971, India winning the Third Test at the Oval by 4 wickets. There was no tour in 1969–70 and no tourists in 1970 as the series with South Africa were cancelled due to the Basil d'Oliveira Affair and concerns over anti-apartheid demonstrations that had led to barbed wire at Lord's. Rather than send an unprepared team to Australia the Rest of the World XI under Garry Sobers was created from the overseas cricketers playing in the County Championship, including the South Africans Graeme Pollock, Mike Procter, Barry Richards and Eddie Barlow. They could not be regarded as a national Test team and the matches were given the status of 'unofficial Tests', but the runs scored and wickets taken were added to official Test statistics until it was decided by the I.C.C. that they should not count. England were beaten by a superior team, but this was not unexpected. The only surprise was that they managed to win one game and almost won two others against what was arguably the strongest Test team ever assembled. Ray Illingworth's England side in 1970–71 were mentally the toughest English side I played against, and the experience of playing against them first up in my Test career reinforced what I had learnt in the backyard. Test cricket was not for the faint of heart. Illingworth subjected us to a mental intimidation by aggressive field placings, and physical intimidation by constant use of his pace attack, ably led by one of the best fast bowlers of my experience, John Snow. Winning to Illingworth was something he expected of himself and demanded of his team. The M.C.C. tour manager was D. G Clark. Bernard Thomas of Warwickshire was the assistant manager and physiotherapist, and G. C. A. Saulez the scorer. 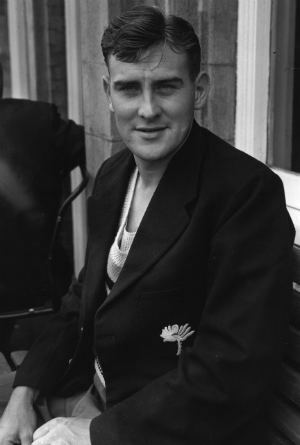 Clark had been the amateur captain of Kent in 1949–51 and was described by Illingworth as "an amiable, but somewhat ineffectual man", and there were soon divisions between him and the players. After the Second Test Clark criticised both captains for cautious play, England for their short-pitched bowling and indicated that he would prefer to see Australia win 3–1 than see four more draws. Illingworth only discovered this when he was asked for a comment by a journalist in the morning and the rest of the team when they read the newspapers at the airport. As a result Illingworth effectively took over the running of the tour with the support of the players and Clark's influence declined. Unlike his predecessors, Illingworth insisted on good hotel accommodation, decent sporting facilities, better travel arrangements, higher allowances and pay, and fought hard to get them, which was greatly appreciated by the players. In the final Sydney Test Clark tried to push Illingworth back on to the field when he took the team off because of the crowd throwing beer cans after the Snow-Jenner incident. A furious Illingworth said he would not return until the playing area had been cleared and the crowd had calmed down and objected to Clark constantly siding with the Australians against his own team. When the team returned to England, Illingworth said that "all hell would break loose" if anyone was denied his good conduct bonus (as with Fred Trueman in the West Indies in 1953–54), but this did not happen. Series wins over New Zealand and Pakistan followed and a despite a loss against India in 1971 he scored his second Test century and enjoyed bowling success. 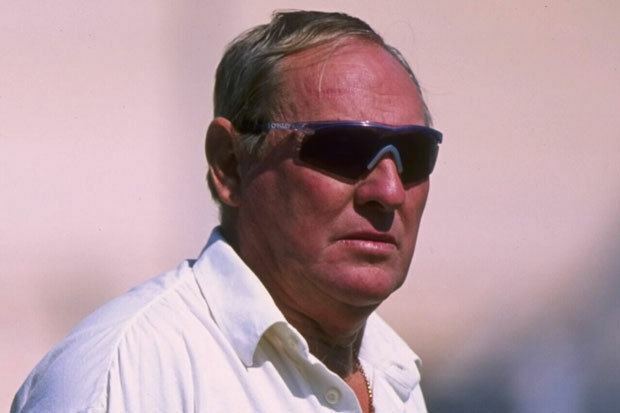 He revealed, in an interview with Shyam Bhatia, 30 years after the loss, that he regretted not bowling Brian Luckhurst's occasional left arm spin against the Indians on a sluggish pitch which had blunted Derek Underwood. He retained the Ashes at home in 1972 against Ian Chappell's powerful young side with an exciting 2–2 series draw. In 1972–73 he declined to tour India, Tony Lewis leading the team instead, and when he took back the reins in 1973 he beat New Zealand 2–0, but lost 2–0 to the West Indies and Illingworth was dropped as England captain in the middle of the final test at Lord's. Leicestershire benefited from his return, winning four one day trophies and the County Championship in 1975. After announcing his retirement from the first-class game in 1978 he returned to Headingley to manage the Yorkshire team, despite his testy relationship with Geoff Boycott. In 1982, faced with an under-performing team on the field, he made a return to the playing arena and replaced Chris Old as captain. The side won the Sunday League in his final season in 1983 but failed in the championship, finishing bottom for the first time ever. The title of the book he wrote about this era was The Tempestuous Years. He left Yorkshire in 1984 and carved out a successful career as a media pundit, often fiercely critical of the England Test team. Eventually he became the chairman of England's Board of Test Selectors and the England cricket coach in 1997. He clashed with England captain Mike Atherton over team selection. As would be expected from all the evidence cited above about his time as a player and captain, Illingworth was a shrewd and deep thinker about the game of cricket. His commentary on the poor England test side of the late 1980s was worth listening to even if it just highlighted where England were going wrong. 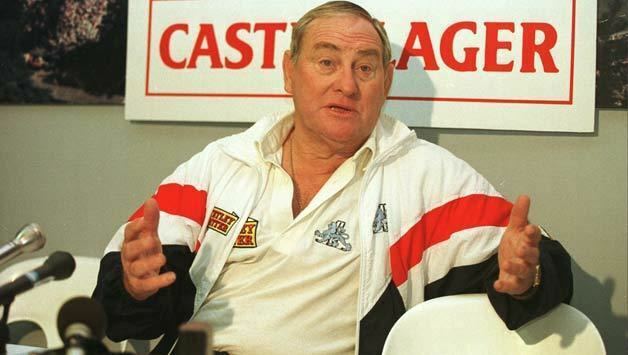 Having seen England thrashed 4–1 at home in the 1993 Ashes and beaten badly by West Indies in 1993–94, Illingworth was appointed "supremo" of English cricket in 1994 and spoke of making changes. The progress made by the young, inexperienced side Atherton had taken to the Caribbean in 1993–94 was discarded and some old faces reappeared in the summer of 1994 such as Graham Gooch, Phillip DeFreitas and Steven Rhodes. Illingworth made it quite clear that he wanted balanced sides with an all-rounder batting at 6. The problem was that at the time England were 'between all rounders', as Ian Botham had retired the previous season (though in truth had not been worthy of a place since around 1987) and it was several years before Andrew Flintoff would replace Botham. As such, under Illingworth players like Craig White, Dominic Cork and Ronnie Irani were tried, with only Cork achieving any success – though Cork's success was limited to the ball only. 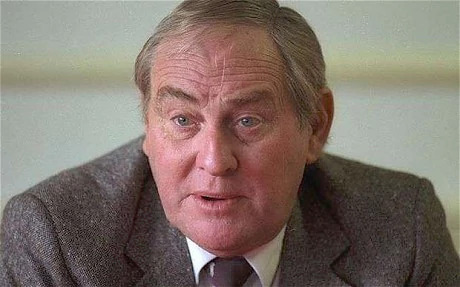 For all of the sound common sense that Illingworth had demonstrated as a player and reinforced as a commentator, his abrasive man-management style appeared out of date by 1994. Examples of this were his readiness to speak to the media to criticise his own players, as he did twice with Mike Atherton: firstly during the dirt in the pockets scandal in 1994 and later the same year during the Melbourne Test match. Illingworth also engaged in a public argument with Devon Malcolm just after Malcolm had produced a rather wayward burst of bowling in the fifth test of the 1995–96 South African series, which saw a long 10th wicket stand that effectively cost England the match. He was awarded the CBE for services to cricket in 1973 and made an honorary member of the MCC. He was the fourth cricketer to be elected to Yorkshire's 'Hall of Fame ' and was President of Yorkshire County Cricket in 2010/2011.